Bentley luggage and MINI Cooper carry-ons? They totally exist, and they’re totally awesome. Gearheads who travel a lot are going to love all of these four-wheeled luggage finds. 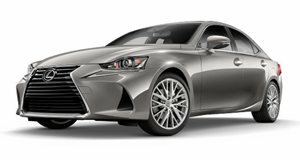 These suitcases and carry-ons are all co-branded by some of the biggest names in the auto industry, including Lexus and MINI. If you&apos;re willing to pay for branding, then these could become your favorite pieces of luggage. True car guys probably think about their ride more than their luggage, but some destinations can&apos;t be reached via road trip. If you&apos;re a fan of flying, and cars, then you&apos;ll want to continue reading below. This red hot collection of luggage is a result of the Tumi-Ducati collaboration. The American luggage maker and the Italian motorcycle company have been working together since 2006. No word on whether any of these pieces will actually fit on a Ducati. Last year, Tumi collaborated with MINI to create a special edition Clubman and Cooper S inspired by the brand&apos;s luggage. The resulting cars are...interesting, with unique exteriors and interiors sure to be found nowhere else, except for in a piece of Tumi luggage. 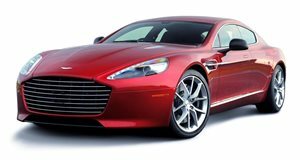 There are many, many perks to owning an Aston Martin Rapide Deluxe. One of the aforementioned perks is this set of custom leather luggage made to match your Rapide Deluxe&apos;s interior. One percenters get all the good stuff. 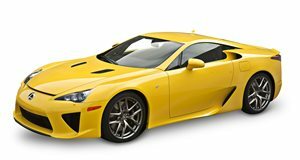 If you aren&apos;t the owner of a Lexus LFA, then this set of luggage will mean nothing to you. This pair of solid suitcases was designed by-who else-Tumi specifically to fit in the trunk of an LFA. One percenters seriously get all of the good stuff.